We have 7 Chartered Surveyors, 4 of whom specialise in the survey and valuation of residential property, and have considerable experience in all types of property from studios to country estates. 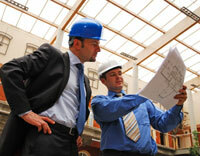 We can also advise on remedial works, building alterations and improvements together with all other associated matters. A detailed inspection and report on condition for any type of property, but particularly those over 100 years old, or of unusual design or construction. Includes advice on repairs and future maintenance. We can arrange or put you in touch with reliable specialists if reports are required on anything from vermin to asbestos. A "mid range" report designed by the RICS, focusing only on urgent and significant matters that affect the value of the property. Suitable for conventional houses or flats built within the last 100 years, cosmetically in good condition and unaltered. A taylor made inspection and report on one or more known defects or areas of concern, for example condition of the roof, damp in a basement, structural movement. Suitable for all types of property and can be commissioned by a home owner, buyer or seller. A brief report on proposed alterations and/or improvements, advising whether they would be feasible and cost effective. Suitable for all types of property. We can undertake a Market Valuation for all purposes including: Sale or purchase, bank/building society lending, financial planning, inheritance tax and capital gains tax, matrimonial proceedings etc. This includes an inspection, market research and a report taking into account location, construction, accommodation, services, facilities and amenities and any special features. An assessment of what it would cost to replace the property to enable you to insure it for the correct amount. This includes an inspection, measurements to calculate the floor area, assessment of quality of construction and fittings in accordance with RICS recommendations. Advice on the maintenance and repair of all types of residential property including specifications for refurbishment, alteration and extension. Maintenance and decoration contracts for leasehold flats including planned maintenance programmes. Conservation advice and alteration works to listed buildings. We have a very good working relationship with many local builders and contractors. Some specialise in certain areas such as flat roofing and plumbing, and others can carry out complete repair or refurbishment of a property. Providing building surveying and valuation expert reports for solicitors in connection with building disputes and negligence claims and giving evidence in court. Providing advice and measurement of boundaries in disputes and preparation of reports. With prominent High Street offices in both Tunbridge Wells and Tonbridge we provide a comprehensive range of property consultancy and management services. We are progressive lateral thinkers but retain traditional values. Our aim is to develop long term relationships by providing a personal and first class service to our clients. Our agency teams offer professional advice on acquisitions and disposals of both freehold and leasehold accommodation throughout Kent and Sussex. Our unrivalled market knowledge, contacts and transactional experience ensures that our clients receive the very best possible advice. Our website incorporates an email alert system which provides daily updates on all new instructions. We undertake valuations of all types of residential and commercial properties for sale, acquisition, secured lending, probate, inheritance tax, capital gains tax, matrimonial, bank and mortgage lending, accounts, rating, insurance, investment and development. Our team of Chartered Surveyors provide both landlord and tenant clients with advice on rent reviews and lease renewals and other Landlord and Tenant work. 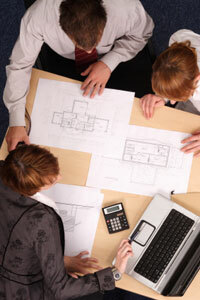 From both offices we oversee the letting and management of residential and commercial portfolios. Our clients include private individuals with a single investment through to family trusts, and investment companies with substantial mixed use portfolios. Our property managers adopt a hands on approach and utilise the skills of our other departments, and in particular those of our Building Surveying department. Both offices provide advice on Business Rates and regularly appeal rating assessments made by the Valuation Office Agency. Our experienced team of Chartered Building Surveyors offer a wide range of services including building surveys, preparation of schedules of repair and condition, reinstatement valuations, advice on design and specification, tendering and contract administration. We regularly produce expert reports for solicitors in connection with disputes and negligence claims, and give evidence in Court. We routinely advise Landlords and Tenants in connection with dilapidations liabilities including the preparation of schedules of dilapidations, conducting negotiations, pricing schedules, arranging / overseeing works and concluding claims. We maintain strong links with a range of contractors capable of dealing with both minor works and major projects. We have developed close relationships with specialist consultants and partners capable of providing independent advice on matters including planning, asbestos, energy performance, floor plans, damp and beetle infestation, environmental issues and general statutory compliance. Bracketts is the trading name of Bracketts LLP, a limited liability partnership registered in England and Wales with registered number 0C362177.